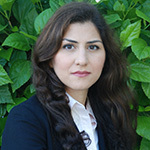 Maryam Shanechi is an assistant professor and the Viterbi Early Career Chair in Electrical Engineering at USC. She received the B.A.Sc. degree with honors in Engineering Science from the University of Toronto in 2004 and the S.M. and Ph.D. degrees in Electrical Engineering and Computer Science from MIT in 2006 and 2011, respectively. She held postdoctoral fellowships at Harvard Medical School from 2011-2012 and at the University of California, Berkeley from 2012-2014. She has received various awards including the NSF CAREER Award, the MIT Technology Review World’s Top 35 Innovators Under 35 (TR35), the Popular Science Brilliant 10, a joint US-UK multidisciplinary university research initiative (MURI) award,the BARI award for US-UK collaboration on human-machine teaming, the ONR Young Investigator Award, the NAE frontiers invitation, and both the NAE and NAS frontiers invitation as speaker and session chair. Dr. Shanechi works at the interface of machine learning, statistical inference and signal processing, and control to develop algorithmic solutions for basic and clinical neuroscience problems. Some applications of interest include developing closed-loop brain-machine interfaces (BMI) for motor function, for control of anesthesia, and for deep brain stimulation to treat neuropsychiatric disorders. Her work combines methodology development with in vivo implementation and testing.